Performance Auto Sound 509-766-0407 in Moses Lake is the place to get your car secure and safe where you park it. 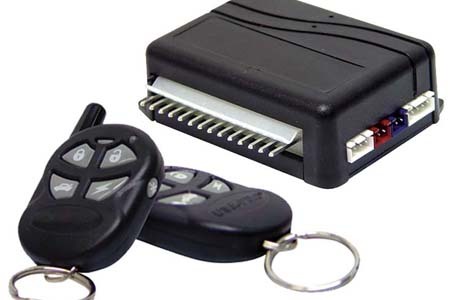 Come in for your car alarm installation today! We’ve all heard our share of car alarms late in the evening just as we’re heading to bed or in the parking lot of the local mall during Black Friday shopping. We’ve all grown accustomed to the alarm sound that goes off letting everyone know that there might have been a robbery if the car didn’t have the alarm system. Hearing the alarm go off can be a nuisance to those around it, but for the owner of the car it is added security as those around it can hear the chirping and see the lights flashing! Having an alarm system is the best theft-deterrent available! 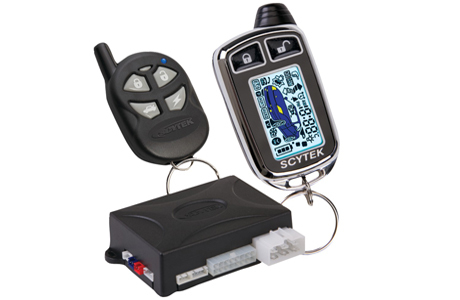 Call Performance Auto Sound in Moses Lake, Washington to have your new car or truck alarm system installed by our professional team of experts. Another reason to have a car alarm installed is to quickly alert you of any damage that a car has sustained. If a window is smashed or cracked, a door nicked, or a bumper dinged, the alarm will go off, alerting you of the damage instantly. Knowing when the damaged happened will help with insurance claims as well as visually looking or searching for the cause of the damage. Having a broken window opens the door for thieves to pilfer through the car. Also, the elements, like rain or snow, can get at the internal upholstery, damaging leather or fabric overnight and leaving mildew or mold! Having wet upholstery is difficult to remedy and often costs money and time, which causes quite the inconvenience in your daily life. Installing an alarm will make the damage quickly known and you can avoid having any extra problems with the car if it is attended to quickly. At Performance Auto Sound in Moses Lake, Washington, our experts are trained in preventing the extra anxiety that comes with a car burglary or no-fault accident. The complete shock and emotional betrayal that comes with the loss of personal electronics, a car stereo, important information, or a vehicle can be devastating. Finding your car with a window smashed or front light broken can be a horrible event. Most car burglaries or vehicle damage by strangers go unsolved by police and getting back your possessions can be nearly impossible. That is why taking preventative measures and installing a remote alarm system is the best way to ensure that your car and the items inside it are safe and kept out of burglars’ hands! Installing a car alarm puts your mind at ease that one of your largest purchases is safe and secure where you left it parked. At Performance Auto Sound in Moses Lake, WA our team of professional alarm experts can help you pick our the proper alarm security system for your car or truck. We’ll help you chooset the different options so that your car will have the coverage you want and can afford. Our trained professional installers at Performance Auto Sound in Moses Lake, Washington are waiting to help you choose which security options are the best for your make and model of vehicle. Our experienced team will help you choose the options you need and the options that fit your budget and lifestyle. We have hearts of teachers and we want to make sure you leave knowing how to use your new car alarm system and all the bells and whistles that come with it! When it comes to car security, you should not go one more day without it! Call Performance Auto Sound in Moses Lake, Washington today to have us install your car security system today. Let us put your mind at ease. Performance Auto Sound in Moses Lake, WA 509-766-0407 Car alarms and car alarms, remote car alarms, car alarm system, viper car alarm, panic mode car alarm, smart phone car alarm, vehicle security, car alarm systems, car security alarm, Cascade Valley WA, Warden WA, Moses Lake North WA, Ephrata WA, and Othello WA today!